Planning to spend some time with us? 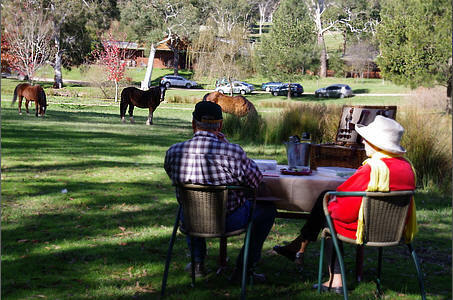 We would like to take a moment to welcome you to some of the delights at our unique property here in the Megalong Valley. 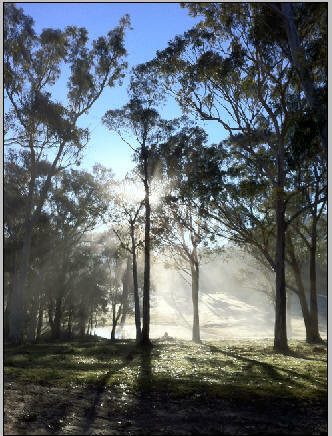 While you are here please feel free to sleep in and relax or get up early and watch the mist rise from the valley revealing grazing kangaroos Don’t forget to bring your camera. 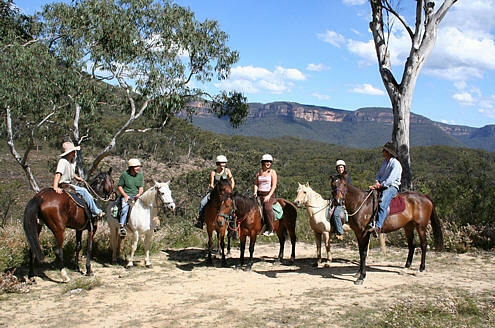 We like our guests to experience what makes our ranch in the Blue Mountains such a great wilderness experience. There are cool leafy willow tress to sit under and watch the world go by. 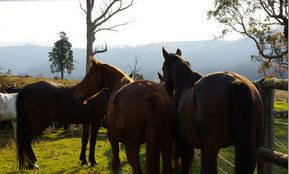 The horses come in for their breakfast around 7.30 each morning. If there is any further information that you need our staff members will be glad to help. 7.30am staff open up the kitchen and coffee’s on! down to get their breakfast. 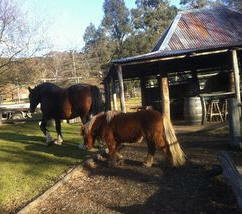 These horses are quite aged .. and very set in their ways. 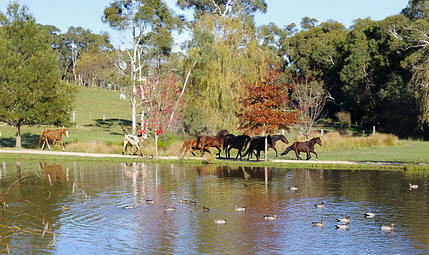 A slow amble is their top speed. are mustered into the saddling yards. 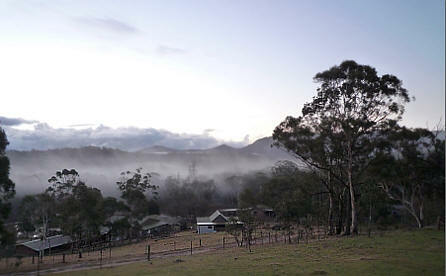 as far as the Kanimbla Valley. at 8.00am and breakfast is ready. 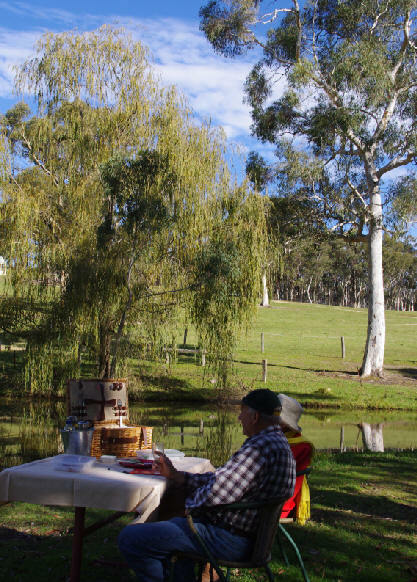 Feel free to sit on the verandah and watch the activities. At 9.00am and the first ride should be ready. The ride to the Cox’s River leaves around this time. delicious BBQ sampler cooked on the Outback char grill. 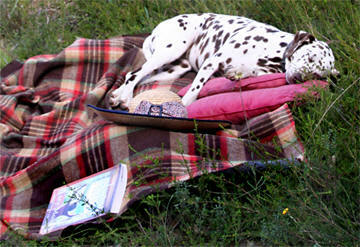 Don't forget to allow enough time to relax and read a book. for those escaping the hustle and bustle of the city. At 1.00pm the afternoon riders start to mount up. There are other rides leaving depending on the scheduling demand for the day. Around 3pm and its time to put the animals away. 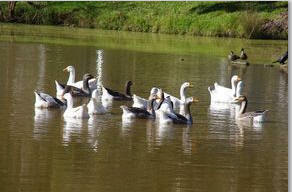 The geese usually wander every way but not heading home. Its hard to get them away from their water. 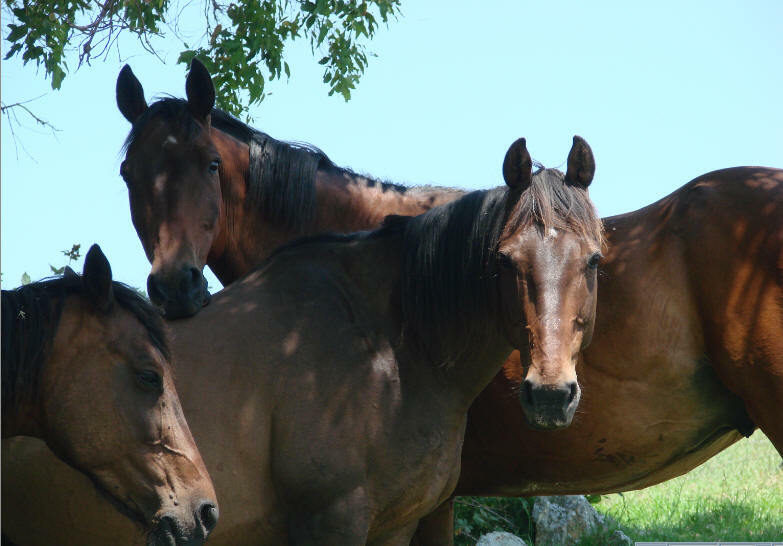 The old horses are feed their hay. The sun sets in the west and the smokey haze of the winter fires settles in the valley. It is getting dark by 5.00pm in winter. 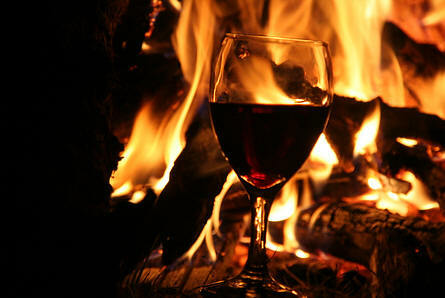 Time for an glass of wine by the warm embers of the fires. 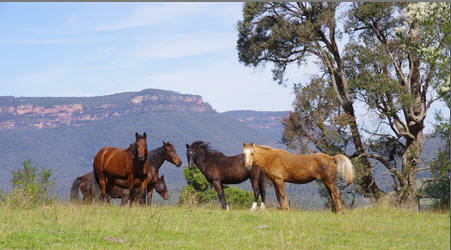 Walking in the Megalong Valley. Our property is very large. 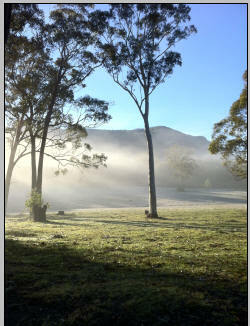 In fact it extends around 15 klms over to the Kanimbla Valley. 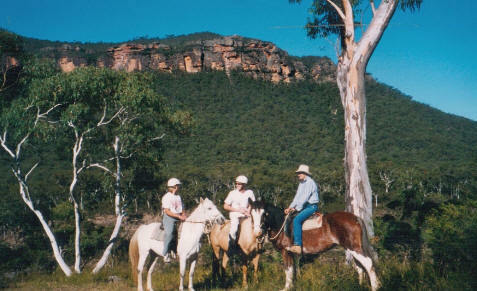 The ridge at the rear of the property has view of Megalong Head and is parallel to the promontory called Narrow Neck Peninsular. The Six Foot Track can be accessed from the road and is ideal to walk a section of this historic track. 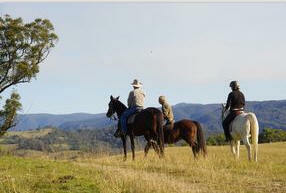 It is the first tourist project undertaken in NSW. Back in 1883 the government spent ₤2400 to encourage people to see the Jenolan caves.. the track starts at the Explorers Tree and covers 42 klms. 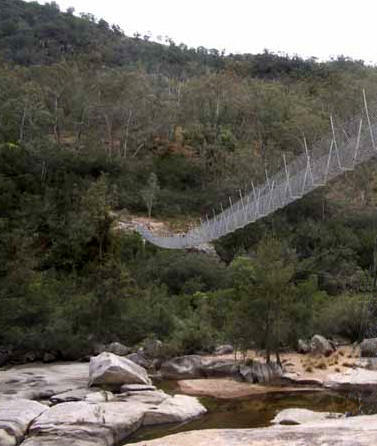 The total walk takes around 3 days but you still can enjoy the experience and walk to the swinging suspension bridge. 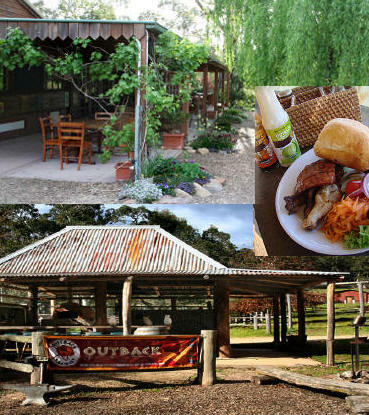 Coachwood Glen is a 400 metre rainforest walk. If you are lucky you will see a lyrebird scratching away at the litter on the floor. Lyrebirds area rare treat. A spectacular bird with an amazing array of vocals with an ability to mimic natural and artificial sounds from their environment. 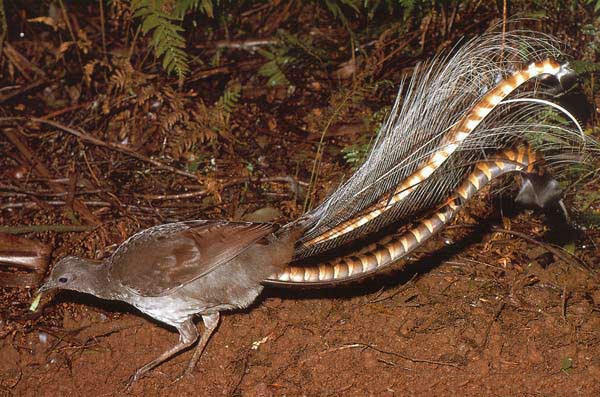 Lyrebirds have extraordinary plumes of tailfeathers. 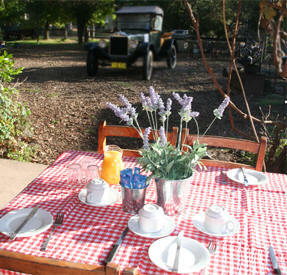 Or simply watch the world pass by with one of our relaxing picnics . For Camera Buffs there is no shortage of intriguing subjects.